I looked at her with a blank face, am sure she noticed. 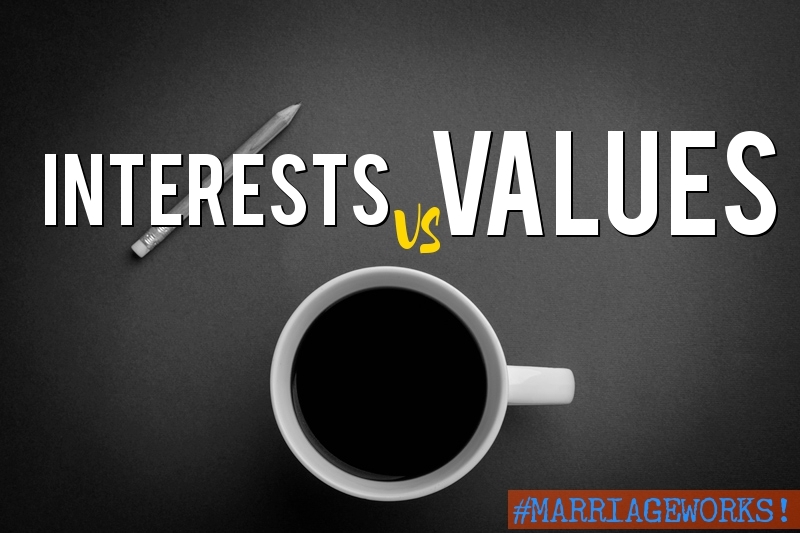 Interests are not values! Never will they be. You could have the same interests and it is okay, but your foundation should not be on some common externalities, it should be on values. Interests do change with age, time, maturity, friends, shift of places or work, but values remain rock solid. Movies are an interest, lessons learnt from them, are the values you should aspire to know if you are both sharing. The common ground, are the common values. Values shape your foundation. Values shape your marriage. Values shape what you will instill in your kids at the end of the day. Honesty- What truth will you be sharing? Or some truth cannot be told like how much you got from the “Chama” money. Honesty is honesty at whichever degree. There should be utmost transparency in marriage. Loyalty- How loyal will you be to your vows? Will it be till death do us part or you both have a different view to loyalty? Fidelity-How solid will your marriage be? Do you intend to entertain thoughts of divorce or it will be till death do us part? Do you vow to stay in till the end? Finances- How will you manage your finances? Do you intend to put all your money in one basket, or separate the bills? Taking care of in-laws- How will you handle your parents? How often will you be visiting? Children- Do you both want children? Do both of you want children. One partner may want children, while the other might be ambivalent or even think children would impinge on their career progression. Career progression- Are both of you comfortable with each other’s career progression. If it involves travelling, are you okay with it? Those are just but a few of the values that need to be discussed before walking down the aisle. Do not confuse interests and values. Values shape your marriage outfit, inside out! Next PostMy journey of marriage: I am married to a different man!